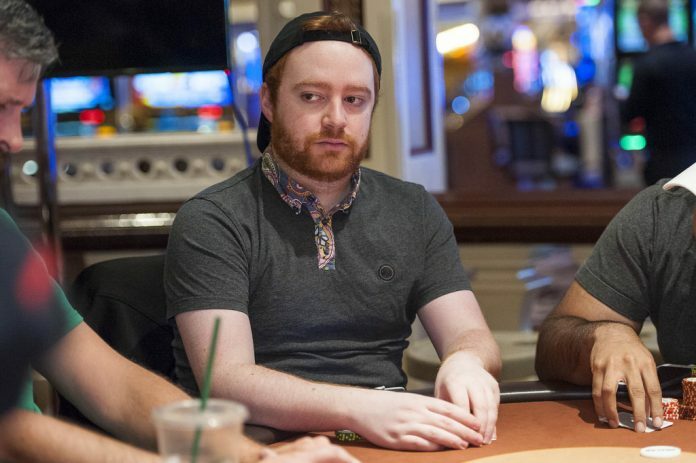 The first Monday of the 2018 PokerStars Spring Championship of Online Poker saw 12 more events wrap up with Niall ‘Firaldo87’ Farrell picking up a second career SCOOP title. Farrell came into Day 2 of Event #3 (High) second in chips out of the 37 remaining players and battled to be the last person standing to win the first place prize of $101,854 and add a second SCOOP title to his name after he took down Event #47 (High) back into 2016. Roman ‘RomeOpro’ Romanovsky took another huge step towards the $10M mark in recorded online earnings after winning his first SCOOP title in Event #2 (High). The Ukrainian is now well over the $9M threshold after coming through the 728-player field and defeating ‘blikinn’ heads-up to take the first-place prize of $123,935. Javier ‘minusth3bear’ Zarco was the biggest winner on the opening Monday after he claimed victory in Event #4 (High) for $233,909. The Spaniard eclipsed his previous best recorded online cash of $17,121 after seeing off the other 674 entrants, which included Aaron ‘aaronmermel’ Mermelstein, ‘Calvin ‘cal42688’ Anderson, ‘ikkedus‘, ‘zcedrick‘ and Toby ‘810ofclubs’ Lewis, who all made the final table. In the final ‘High’ event, ‘BongBob‘ ($130,329), ‘Shuller_A1t‘ ($94,792) and ‘ekziter’($68,946) made up the top three places in the Six Max Pot Limit Omaha after 355 entrants paid the $2,100 buy-in to create a $710,000 prize pool. Event #4 (Medium) saw 6,916 entrants do battle in the $215 Sunday Million SCOOP Special with ‘XD89lol<3′ taking the majority share of the $1,383,200 prize pool. Finland’s ‘XD89lol<3′ recorded his third six-figure online cash after banking $196,472 for defeating ‘ham1l_I0n‘ heads-up, who took away $135,971 for second place, with Brazil’s ‘Eduardo850‘ claiming their biggest online cash to date by coming third for $94,103. Canada’s ‘newguy89‘ lost out to ‘chemigue2‘ heads-up in Event #2 (Medium) with the players taking away $39,128 and $54,893 respectively. ‘Br1ngCabbage’ took the win in Event #3 (Med) to earn themselves a coveted SCOOP title as well as $65,159. In the $215 Six Max Pot Limit Omaha Event #5 (Medium), it was Brazil vs Poland for the win, with ‘charlie580‘ beating out ‘pokerqmaster’ for the title and the first-place prize of $47,735. In the ‘low’ events, ‘DedOnTheTurn‘ won $15,861 for victory in Event #2 (Low) the Mini Sunday Kickoff and ‘Allmightry‘ saw $17,943 added to their account for first-place in Event #3 (Low). Romania’s ‘pora adrian‘ came through a massive 17,265 player field in Event #4 (Low) the Mini Sunday Million to earn $36,876, and ‘kokosant’ came out on top in Event #5(Low) Pot Limit Omaha for $16,903 after agreeing to a heads-up deal with ‘Janibp’, who took away $14,194 and the silver medal.